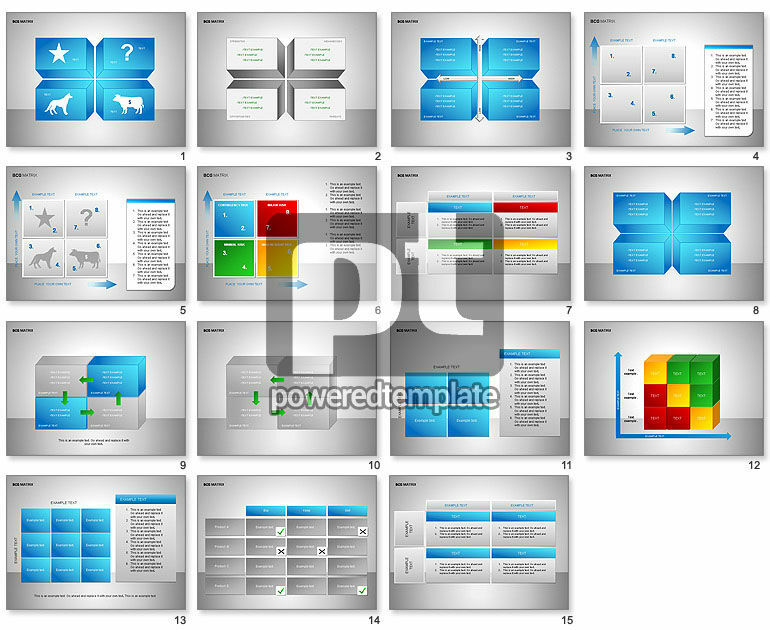 These presentation slides 25522 are complete compatible with Google Slides. Simple download PPTX and open the template in Google Slides. Great collection of diagrams based on BCG Matrix chart for presentations on effective business analysis, product lines analysis, brand marketing, product management, strategic management, etc.